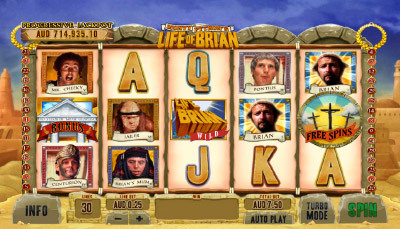 Monty Python’s Life of Brian arrives to Fly Casino with great fan fair. This Progressive online slot game playing at Fly Casino recreates the funny humor of the 1979 film classic. The online slot game is packed with images and characters from the film, and provides Fly Casino members with 10 fantastic bonus rounds. YES, 10 BONUSES! And if that’s not enough for you, there’s even a Progressive Jackpot too! Purple Hot is a 5 reel, 5 payline progressive video slot at Fly Casino that recreates a classic early-video slot look and feel. The game's symbols include classics such as cherries, bananas, watermelons, lemons, plums, oranges and apples. 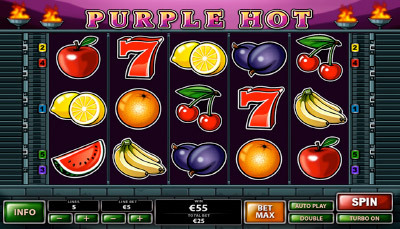 The Purple Hot Jackpot is won with five red 7 symbols on a payline. The game has different jackpot amounts based on your total wagers, which are 2, 5, 10, and 25. 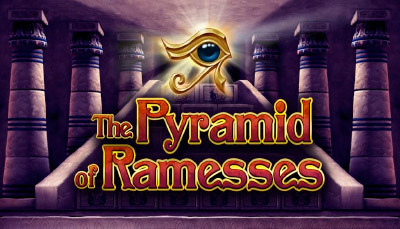 The Pyramid of Ramesses is 5 reel, 20 payline multi-level progressive video slot that can be played at Fly Casino. This progressive online slot game provides Fly Casino players stunning graphics, bonus features, expanding wilds and a progressive jackpot! The game has different progressive jackpot payout levels for different total wager amounts, which are 2, 5, 10, and 25. VALUE MONDAY! From 00:00GMT until 23:59 GMT, all members are invited to receive a 75% bonus up to 75.00 on your deposits of $/£/€10 or more. 115%! From 00:00GMT until 23:59 GMT, all members are invited to receive a 115% bonus up to 115 on your first deposit of £/€/$30 or more made.